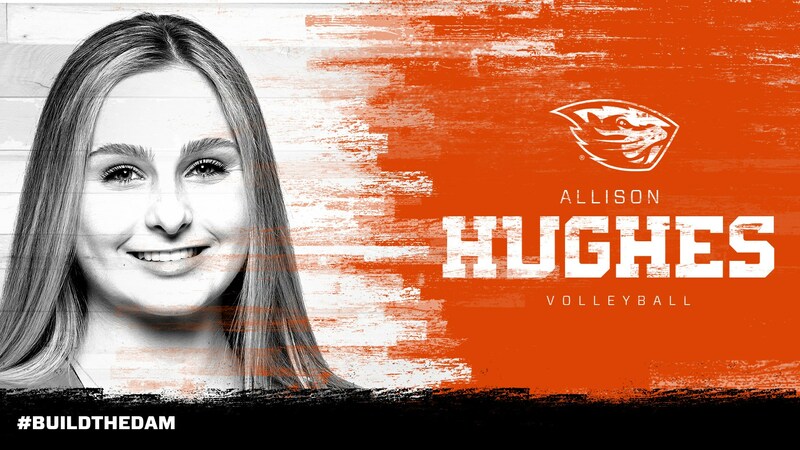 Oregon State continues to add to its roster following some key losses with the transfer market, as the Beavers are bringing on their third addition from another school in Allison Hughes. A 5’11” setter, Hughes will be a sophomore in 2018 with immediate eligibility. The other two transfer additions for the Beavers are outside hitter Amy Underdown from Northeastern and another setter in Montanna Gubrud, who comes from the junior college ranks and Linn-Benton Community College. A native of Cypress, Texas, Hughes came to SMU as an AVCA High School Under Armour All-America Honorable Mention pick. In 32 sets of action as a true freshman, she logged 127 assists (3.97 per set), 22 digs (0.69 per set), five kills, four blocks and an ace. SMU is left with just one setter on their returning roster for 2018, as they are on the edge of a 21-11 season in which they went 15-5 in the American Athletic Conference (AAC) and made the NIVC Tournament. For Hughes’ new squad, Oregon State, a search for a new starting setter is in order. Fresh off of a 21-12 season and an 11-9 finish in the Pac-12 that netted an NCAA Tournament appearance, Pac-12 Freshman of the Year and starting setter Kylee McLaughlin transferred out to Oklahoma. That means just Hughes and Gubrud are on the roster, whether that will turn into a 6-2 or a competition for one spot. Regardless, Hughes should be in line for an important role right away.